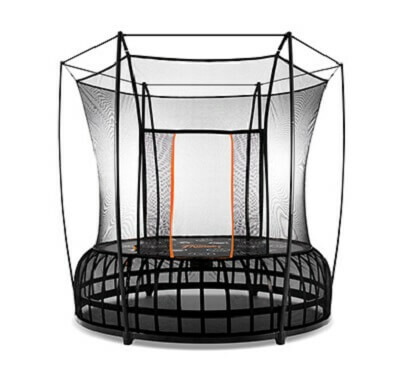 This time it is time to review Vuly “Thunder”, one of the best recreational trampolines in the World. 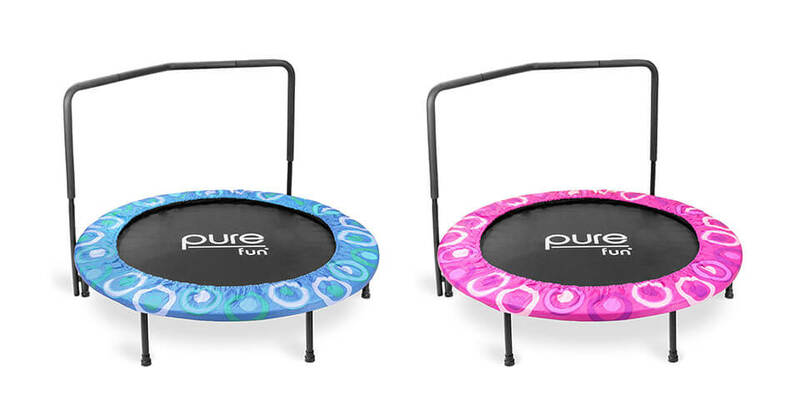 Vuly “Thunder” is a springless trampoline, where standard “coiled” springs are replaced with new design, in this case system called “Leaf Springs”. Basically, steel poles shaped as leaf act as springs. 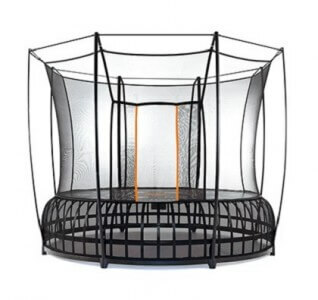 Vuly “Thunder” trampoline will give you enough confidence while jumping as there are no springs and no padding so you can fully enjoy jumping on complete surface of the mat without any risk of being injured. 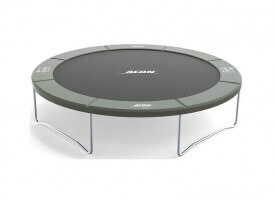 Surface of the mat itself is almost like a jelly, initial bounce is soft with almost no resistance but when you get deeper into a bounce resistance on “Leaf springs” is increased and bounce is highest you can get on standard home trampolines. 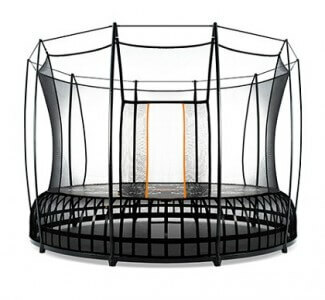 Vuly trampoline specifications are exactly what you would expect from trampoline with that price tag. 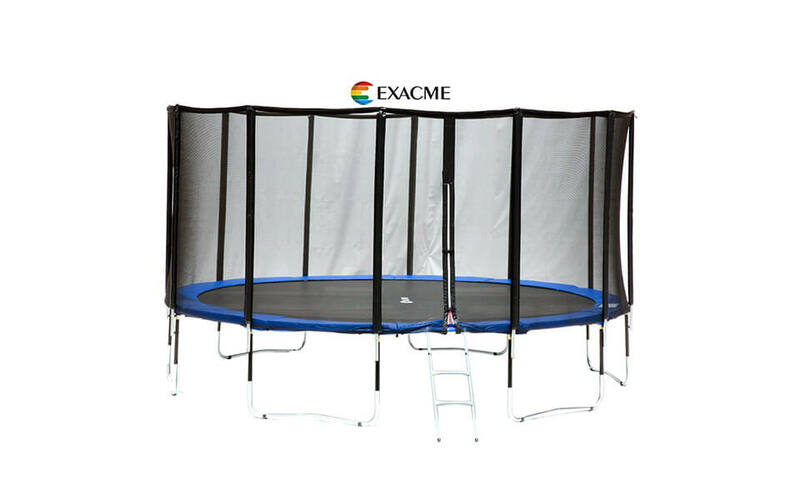 It is very expensive trampoline but price can easily be justified as Vuly used only best materials in almost all parts of trampoline (I said almost all, as quality of enclosure netting doesn`t follow overall quality, read more about it below on review of enclosure). Also, default warranty period is 10 years on frame and only 1 year on all other parts. 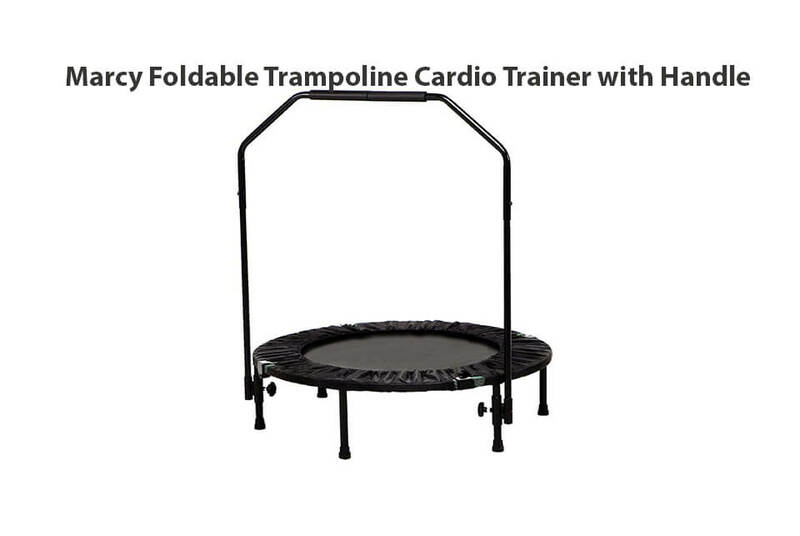 Maybe a bit too short for trampoline with price that high. 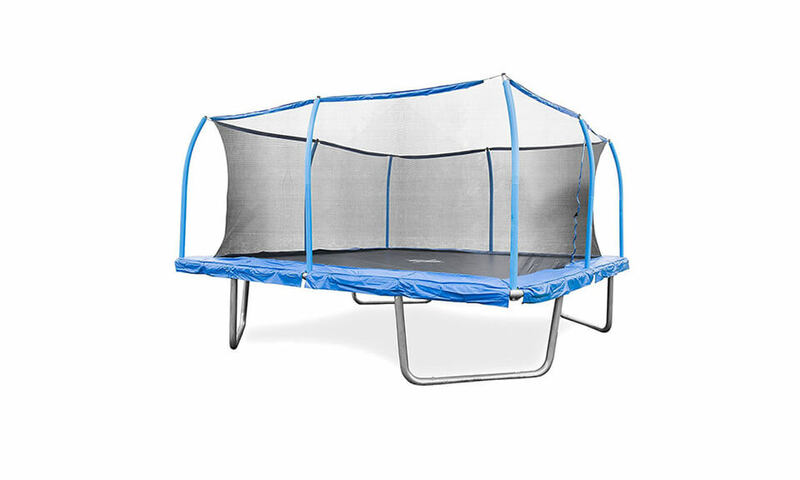 But then again, all replacement parts for Vuly Thunder trampoline are available in half price, but only if you keep receipt. Price: Check latest price! Check latest price! Check latest price! Mat diameter: 8' 3" 10' 7" 12' 6"
On Thunder, There are actually two frames inter-connected, making it very sturdy without any kind of motion or movement. It is made from galvanized steel with second layer of powder coated rust resistant paint. 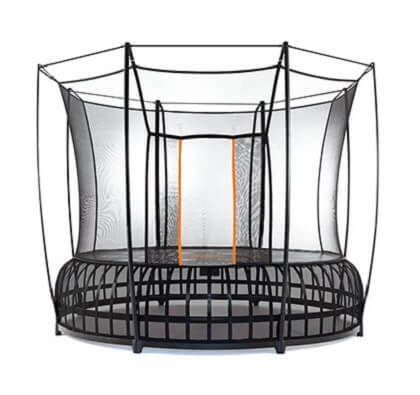 Vuly frame is probably strongest frame you can find on trampoline (just take a look at picture above – Can your trampoline hold a car? 10 years of warranty only confirms that. Nice futuristic design is just a plus. Mat is made from woven PP material (PolyPropylene) with six rows of stitches. 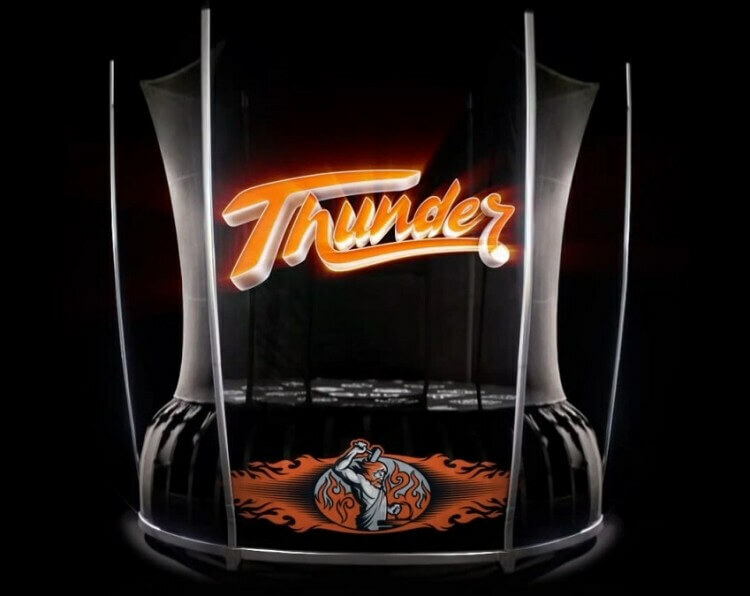 Mat on Thunder is very responsive and provides one of the highest bounces you can get from backyard trampolines. Total jumping weight limit is 330 lbs (150kg). 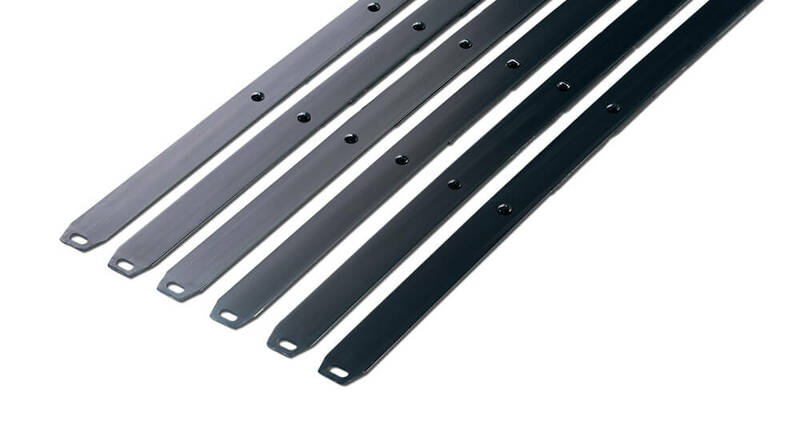 There are tapered leaf springs which provide nice and high bounce for all users. Smaller & lighter jumpers will use the top leaf-spring, while larger/older jumpers will use all three leaf springs, bouncing you higher than ever before. 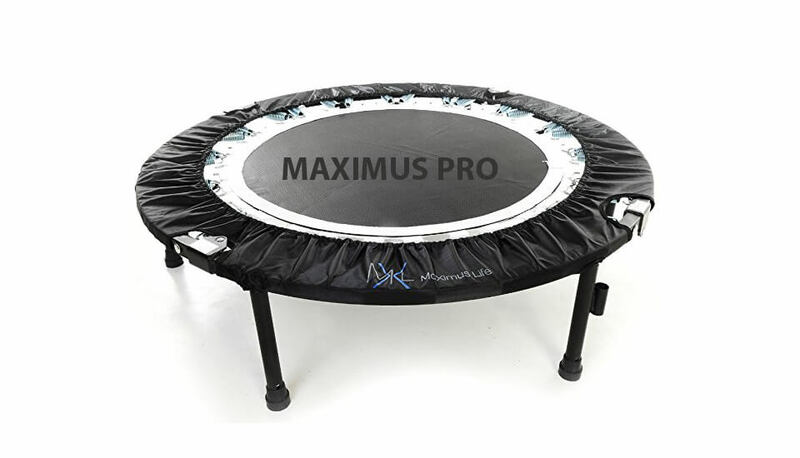 Leaf springs technology create soft area around the top of trampoline so when kids fall over there is no solid surface to crash into. With every Vuly Thunder you get free spring tool, in this case called Leas Spring Lever. As enclosure net is sewed with mat there is no need for padding. 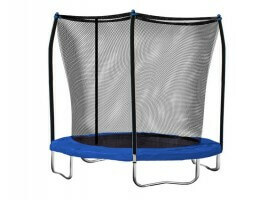 Also, as there is no way of hitting any hard edges risks of trampoline related injuries are lowered for at least 80%. 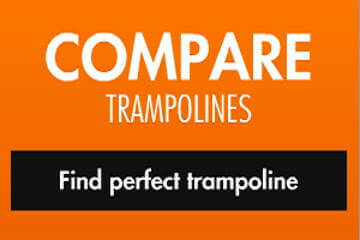 (confirmed statistics when comparing traditional vs springless trampolines. Enclosure on Vuly Thunder is made from material called Silk Terylene, which is UV resistant, super strong but elastic material. 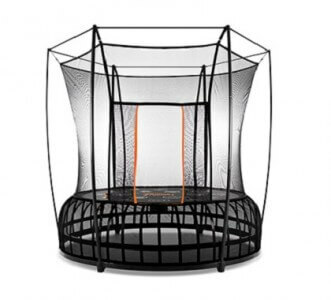 Net and mat is attached together (stitched) making it as a single part so there is no way to fall out of Thunder trampoline. Safety increased to higher level. 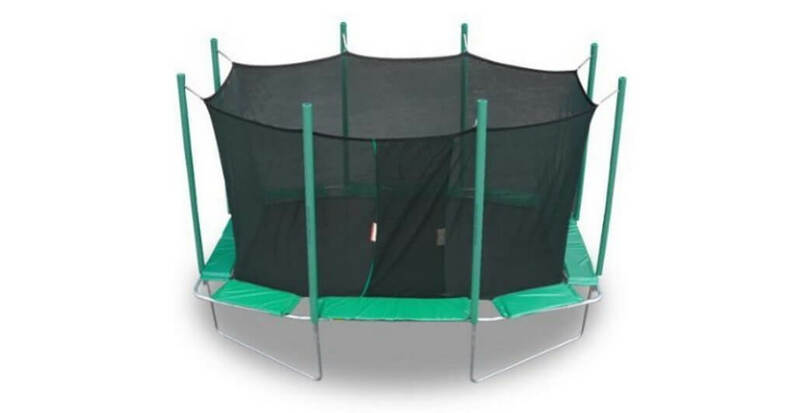 Only trampoline that uses similar technique is Springfree trampoline. Holes on enclosure are very small making it impossible to accidentally stick your fingers and toes into it. Jumping and doing tricks just got way safer…. Only downside we had on enclosure is that entrance is very small, making it very hard to enter if you are a bit bigger. Great for kids, not for grown-ups. Also, there are reports that netting starts to fade after year or two of usage. Half price replacement parts for life – keep your bill and you can purchase all replacement parts in half price! Very good business model which is unique in world of trampolines. Regular warranty period on Leaf Springs only 1 year. 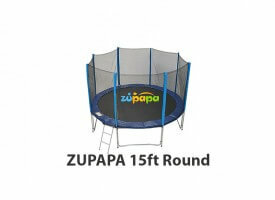 For trampoline with that price we expected much more. 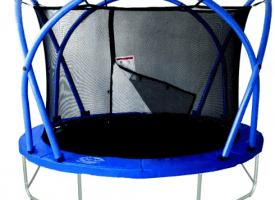 Price, price, price – it is one of the most expensive recreational trampolines, and only Springfree Inc. springless trampoline can compete with it. Buy now at Amazon!Not interested? Check other Reviews! 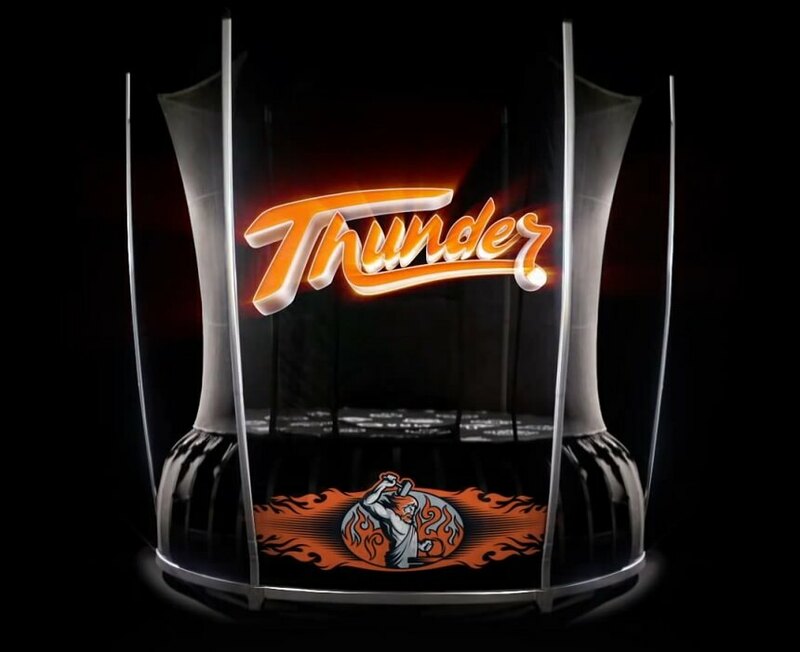 There are several accessories specifically designed for Vuly Thunder trampoline. Why not getting rain resistant tent roof? Especially as tent comes free with every Thunder trampoline (offers may vary). Vuly tent has side detachable from roof area making it perfect for hot summer days and use it again on colder autumn or winter days. 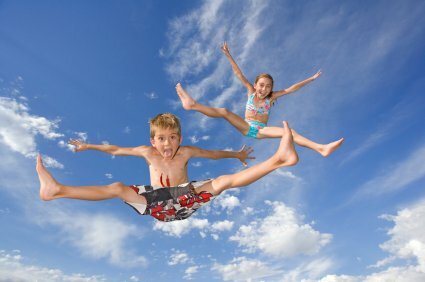 Vuly jumping board where you can practice skating tricks without any worries of possible injuries. Deck is crafted from light-weight plywood and covered with EVA foam. 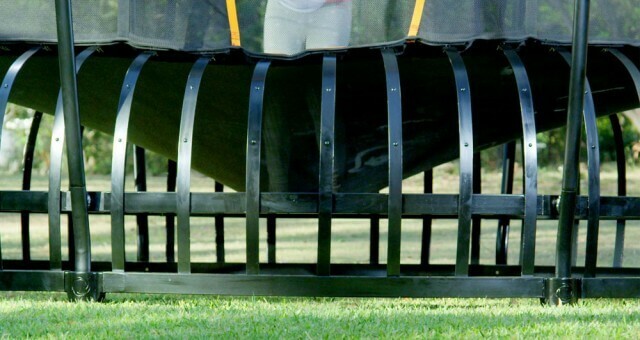 Learn to dunk on your backyard trampoline. 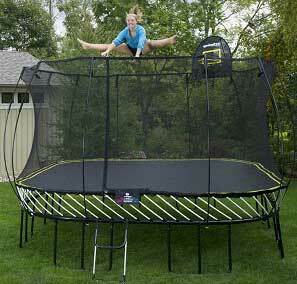 Practice basketball on your trampoline and boost your balance and coordination. Basketball Hoop is flexible and covered with foam for extra protection.